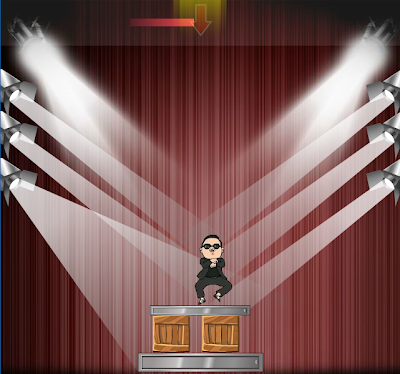 Gangnam Ta Ta Ta is a simple physics-based construction fun puzzle game where your mission is help Psy build a stage and dance with "Oh Ba Gangnam Style"! This game is free to play. Have fun! Mouse to play "Gangnam Ta Ta Ta"